A selection of local public media programs in the Peabody archives. A grant-funded archival project underway at the University of Georgia will preserve an estimated 4,000 hours of local public media programs submitted to the Peabody Awards over six decades. 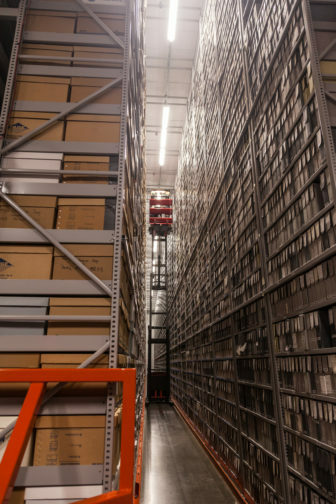 Brown Media Archives collections are stored in a high-density climate- and humidity-controlled vault. Vault staffers use a hydraulic “picker” to pull tapes for processing. The completed archive will give researchers, students and the general public a window into public affairs and cultural life in local communities from 1941–1999. The collection includes a 1958 program titled The Coming Space Age, a 1974 follow-up program on the shootings of Vietnam War protesters at Kent State University in Ohio and a 1976 interview in which Muhammad Ali discusses Vietnam and religion. Over 230 public radio and television stations across 46 states are represented in the Peabody collection, according to the University of Georgia. The two-year project is funded by a $216,000 grant from the National Historical Publications and Records Commission, which is part of the National Archives. The grant was awarded to the Brown Media Archives at the University of Georgia. Its archivists are collaborating with the American Archive of Public Broadcasting, a collaboration between Boston’s WGBH Educational Foundation and the Library of Congress. “[Public media] is an area where we feel federal dollars make sense for preservation,” said Ruta Abolins, Brown Media Archives director. The programs were often created with federal dollars or donations to stations, she said, so it made sense to seek public funding to make the programs available to the public again. “It’s kind of returning to the American people something that the American people invested in,” Miller said. One program to be preserved is a 1999 radio documentary submitted by 90.3 WCPN ideastream in Cleveland. David C. Barnett produced “Woody Guthrie — America’s Storyteller” as a three-part series, and it was broadcast by 172 stations. “At the time, everyone in our world knew about it,” said Barnett, now a senior reporter and producer at WCPN. Preservation of the collection is important because many of the program reels are degenerating — especially those of the oldest programs, Miller said. The submissions represent the stations’ best work, yet many public broadcasters don’t have the financial capacity to preserve their archives. “The clock is ticking on all of our collections,” she said. 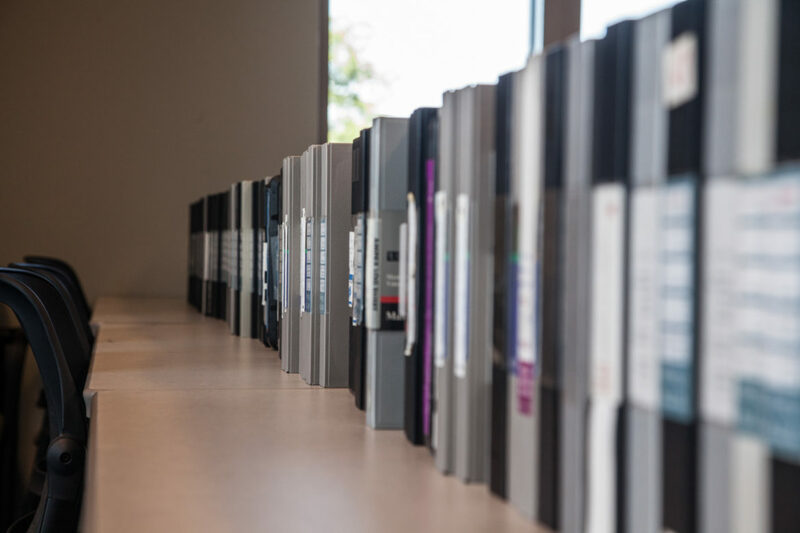 At the end of the project, the UGA archives will offer free copies of the digitized programs to stations that produced them but no longer have them in their own archives. Most of the grant money will pay for a vendor to digitize the programming. Because the contract hasn’t been finalized, Abolins declined to name the vendor. She expects the process of digitization will take 18 months. Archivists at UGA, AAPB and the Library of Congress will work together to produce and upload program descriptions and transcripts, secure copyright permissions and ingest the digitized files into their archival databases. The Peabody Media Center will also host a series of public screenings to showcase the archive. The archived programs will also be available at research centers of AAPB and the Brown Media Archive, and accessible on the internet through AAPB’s website. The Library of Congress, which is also finishing an 8,000-hour archive of PBS Newshour broadcasts with AAPB, will preserve the Peabody collection for posterity.